Downeast Lakes Land Trust is pleased to announce the hiring of Ernest Carle as DLLT’s new Managing Forester. 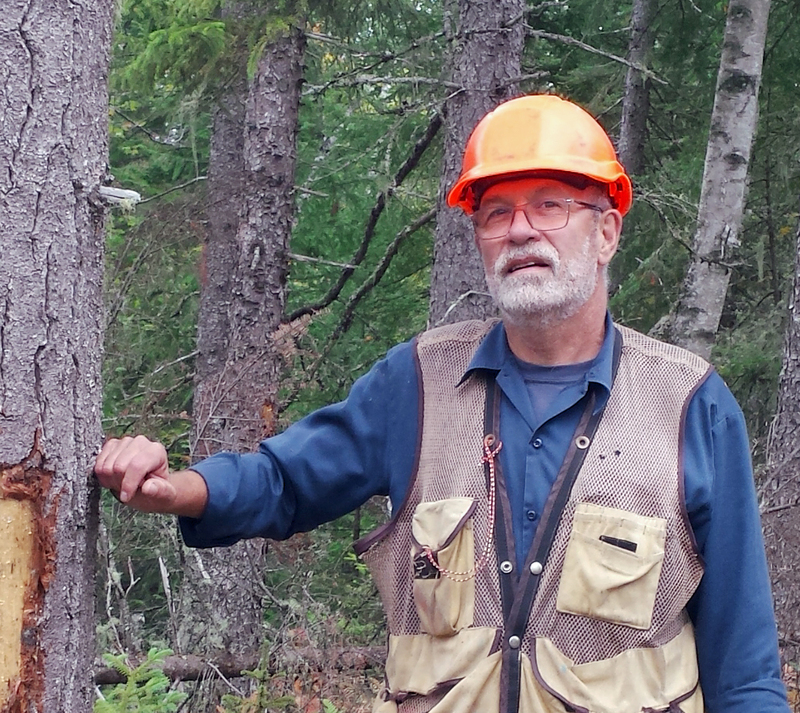 A native of Princeton, ME, Ernest brings more than 40 years of forest management experience. In many ways, Ernest is returning to his roots in the Downeast Lakes Community Forest. After receiving a B.S. in forest engineering from the University of Maine – Orono, he was hired in 1978 by Georgia-Pacific Company and worked as a field forester managing more than 400,000 acres in the Downeast Lakes region in and around the present-day community forest. Ernest eventually spent 25 years with Georgia-Pacific and its successors, first as a field forester and later as a procurement forester at the pulp mill in Baileyville. Ernest most recently worked as a timber sale forester for the Passamaquoddy Tribe. “Ernest’s in-depth knowledge of the area’s forests and lakes will be an invaluable resource for DLLT’s sustainable forestry program,” said David Montague, DLLT’s President and CEO. “The DLLT Board and staff are eager to welcome Ernest, and to introduce him to the committed, passionate community of DLLT supporters. In addition to his professional career, Ernest has extensive volunteer experience with Maine Tree Farm, Maine Woodland Owners, and Maine’s Land Use Planning Commission. Ernest is passionate about the forests, lakes, and people of Downeast Maine, and he was an early member of the DLLT Board and Forest Resources Committee. In his spare time, he enjoys hunting, fishing, boating, leading church services, and spending time with his four grandchildren. If you see Ernest on the trails and roads of the community forest, be sure to stop and say hello!